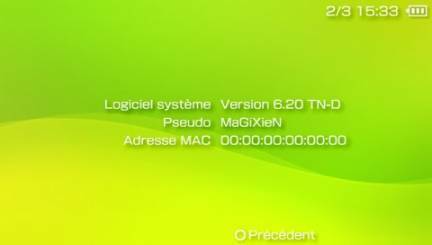 Full PSX support (PSN and converted titles) with Action Reply cheat code support, fixed flash0 protection and more, a big thanks to Total_Noob. For your ISO loader, you can go with the Prometheus ISO loader, OpenIdea ISO loader or aLoader plugin. – Added homebrew icon (thanks to PhysXPSP). – Added full PSone gaming support (PSN PSone games, converted PSone games). – Added KEYS.BIN creation (possibility to share PSN PSone games). – Added possibility to resume unofficial PSone games on PSPgo. – Added plugins support for PSone games. – Added TiltFX(motion controller) and Action Replay(cheat device) support (thanks to HacKmaN). – Added possibility to translate TN VSH Menu. – Added possibility to use own font table for TN VSH Menu. – Fixed flash0 protection bug. – Fixed 32gb memory stick incompatibility. – Fixed bug that causes a crash when you suspend the device (manually) in TN VSH Menu. I’m using ISO Tool as well. It seems that TN-D broke compatibility with OpenIdea. I’m looking into the new release of aLoader (1.1). which is better PRO B7 or TN HEN? Do I need a previous version of TN HEN? Or can I just install directly this version?